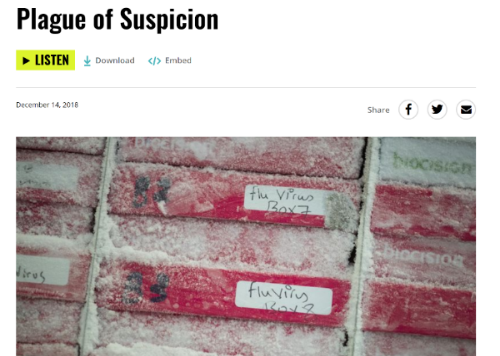 As we prepare for another year of uncertainty and change, we can be sure that some issues will continue to play center stage in the coming months – pressures on biopharmaceutical pricing; reimbursement and regulation as they relate to the accessibility of new medicines for patients in developed and emerging markets; the struggle of global health funding streams as governments and other donors address a wide range of competing priorities; and the entry of new actors in the healthcare space creating partnerships and coalitions that would have been unexpected even five years ago. Read on to see Rabin Martin's predictions for global health trends to watch in 2019. We are excited to announce that, as of January 1, 2019, Rebecca Hoppy has assumed the role of President and Kate Schachern has assumed the role of Managing Director and Partner. Jeff Sturchio is staying on as CEO. As President, Hoppy will guide Rabin Martin’s strategic vision and growth, including overseeing client services, broadening Rabin Martin’s product portfolio to deliver innovative solutions that meet client needs, and nurturing top talent in support of the firm’s mission to improve the lives of underserved populations around the world. 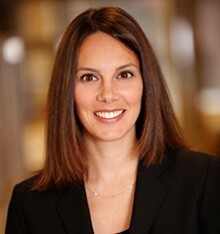 In her new role as Managing Director, Schachern will focus on business development; lead Finance, Operations, Marketing and Communications for the firm; and work closely with both Dr. Sturchio and Ms. Hoppy to continue offering strategic counsel across the firm’s client portfolio. 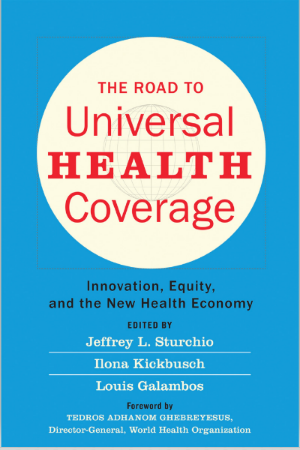 We are proud to highlight the release of The Road to Universal Health Coverage: Innovation, Equity, and the New Health Economy, edited by Jeffrey L. Sturchio, CEO of Rabin Martin, Ilona Kickbusch, director of the Global Health Centre of the Graduate Institute of International and Development Studies, and Louis Galambos, professor of history and the co-director of the Institute for Applied Economics, Global Health, and the Study of Business Enterprise at Johns Hopkins University, with a foreword by Dr. Tedros Adhanom Ghebreyesus, Director General of the World Health Organization. In this collection of essays, Sturchio, Kickbusch, Galambos and their contributors explore the ways in which the private sector is helping countries achieve universal health coverage and opportunities to partner with governments during their process of transition. To order a copy of the book, click here. We'd love to help you think through how UHC will impact your business. Connect with us at info@rabinmartin.com. 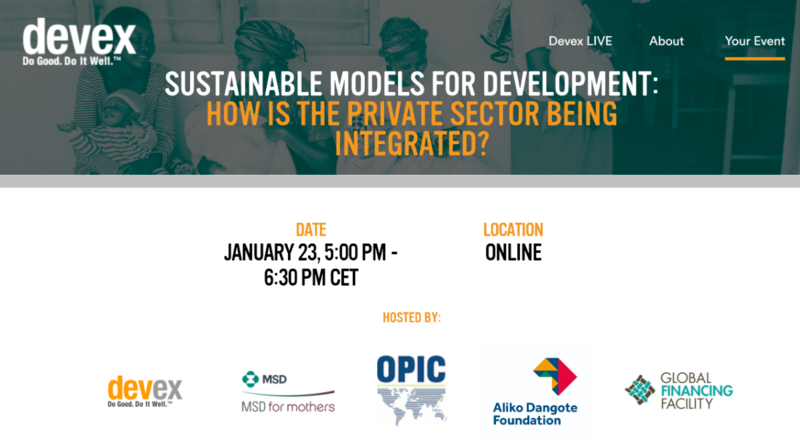 Devex and MSD for Mothers, along with the Overseas Private Investment Corporation, the Global Financing Facility, and the Dangote Foundation, are hosting a side event at the 2019 World Economic Forum in Davos, Switzerland. The event, Sustainable models for development: How is the private sector being integrated?, will convene an intimate group of thought leaders to explore the current landscape of private sector involvement in building health development solutions. Featured speakers will also discuss engaging donor agencies to adopt more private sector approaches. The event will take place January 23, 2019 from 5:00-6:30pm CET and will be livestreamed. response to infectious disease outbreaks. Rabin Martin is a global health strategy firm working at the intersection of private sector capabilities and unmet public health needs. We believe that leadership in global health requires fresh approaches, new business models and unlikely partnerships. 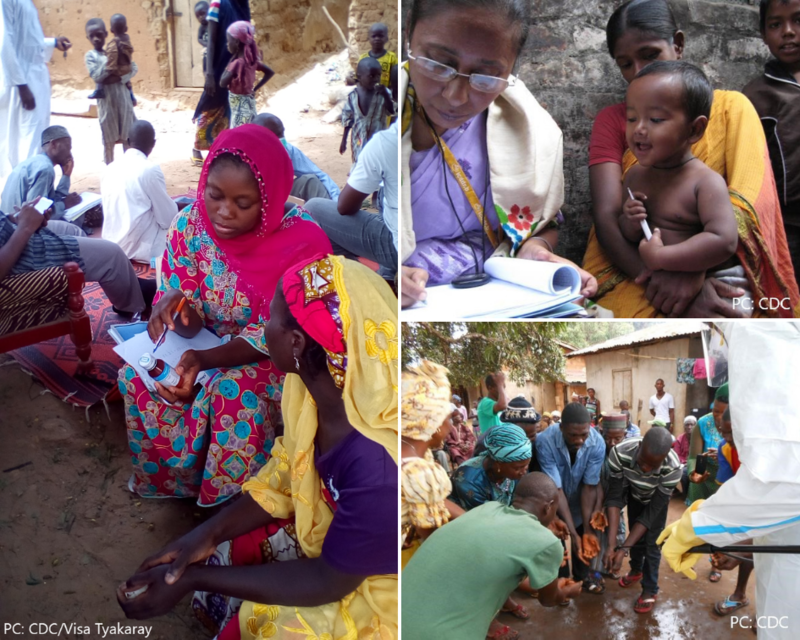 Rooted in our mission to improve health and health equity for the most vulnerable populations, Rabin Martin has been actively engaged in the global and domestic health and development arenas for more than a decade. By blending our expertise in business and public health, we design, develop and evaluate public health programs, extend the influence and impact of our clients and help our clients bring pragmatic solutions to unmet health needs. We work with multinational health care companies and multilateral institutions, government agencies, large foundations and leading NGOs. 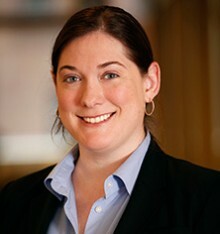 Rabin Martin is a member of the Omnicom Public Relations Group. If you received this message from someone and would like to receive future updates from Rabin Martin, please sign up here. Copyright © 2019 Rabin Martin, All rights reserved.